DETROIT, MI [COCC] -- On Sunday evening, October 23, 2016, music lovers -- Orthodox and non-Orthodox alike -- gathered at Annunciation Greek Orthodox Cathedral in Detroit's historic Greektown to hear a beautiful free concert "Orthodox Hymns of Praise" presented by the Orthodox Choir of Metropolitan Detroit. 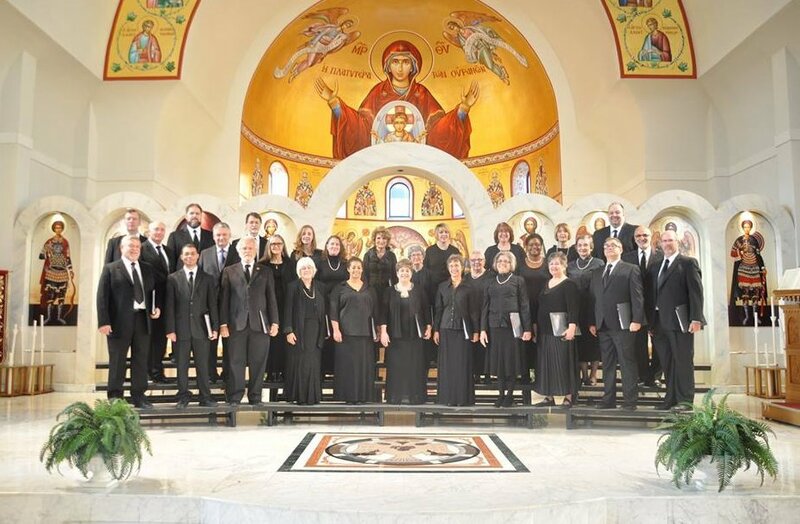 Under the direction of (Matushka) Victoria Kopistiansky, the choir of over two dozen volunteer singers representing a number of Orthodox Christian parishes in Southeast Michigan offered selections by Russian, Middle Eastern, Greek, Serbian, Romanian, Armenian, and American composers. In addition to advertising through parishes and media outlets, the concert was promoted in cooperation with Detroit Classical Radio WRCJ 90.9FM. Members of the choir were featured live during one of the station's regular afternoon programs where they were able to explain a little about Orthodox liturgical music and invite the general public to attend the concert. During the intermission, Olga Liskiwski, President of the Council of Orthodox Christian Churches, shared a few words about the three local ministries benefiting from the free-will donations offered that evening: Detroit's Own Orthodox Radio, Orthodox Detroit Outreach and FOCUS Detroit. Guests were invited for refreshements in the cathedral's 707 East Banquet Center immediately following the concert. Many thanks to the members of the choir, the organizers of the event, the host parish, those who helped promote the event throughout the community, and everyone who attended and contributed toward supporting local Orthodox Christian ministries.